We had many different versions of Mai Tais over the past week so that peaked my curiosity about the origin of the drink. There is much mystery about how this famous tropical drink came about, but many stories start actually at a bar in Oakland, CA called Trader Vic's in 1944. Much lore surrounds how the drink actually got to the Royal Hawaiian Hotel in Honolulu nine years later, but today this is the most famous tropical drink on Maui by far. 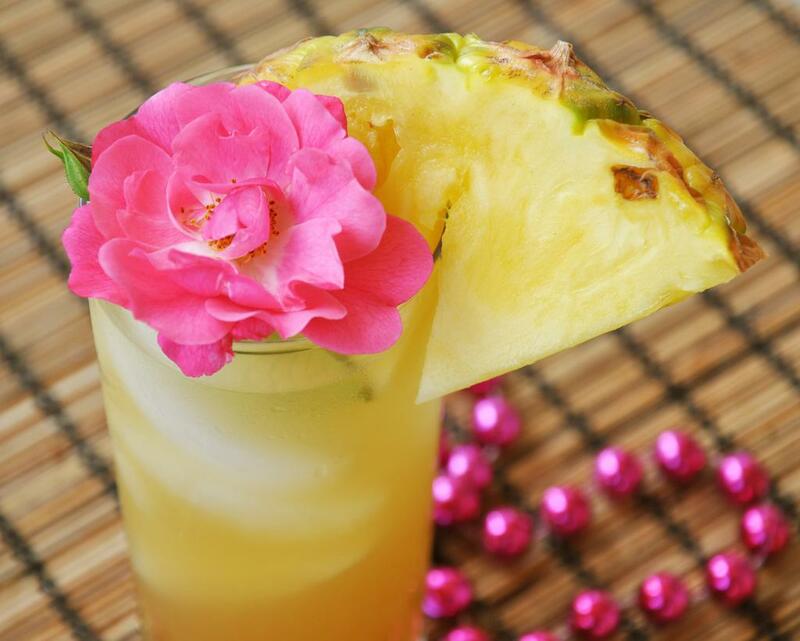 This is my version of the Royal Hawaiian Hotel recipe, which has more fresh juice than the Trader Vic's drink - fruity, not too sweet and with a bit of a punch. Pour all the ingredients in a tall glass, cover and shake to combine. Fill two glasses with ice and divide the liquid among them. Garnish with a wedge of pineapple. Enjoy!